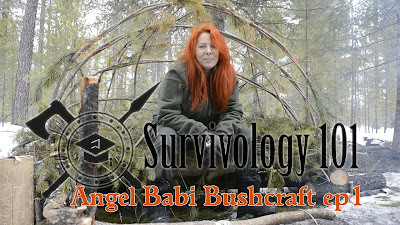 and check out the first installment of Angel Babi Bushcraft and leave me a comment so I know how I can do things better. I started my Bushcraft journey many years ago and long before anyone called it bushcraft. It will be exciting for me to guide her down this long and winding road. Thanks for your support and participation. If you want to own some of Angel Babi's handmade leather kit, drop over to Survival Hardware LLC Etsy store and pick it up. FYI if its made from leather she made it, if its made from wood or metal, then I made it.